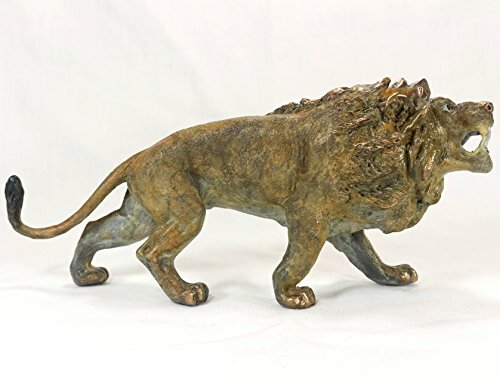 One-of-a-kind solid bronze lion, with a unique patina. All hand made by artist in USA. approx. 7" long.